A beloved character actor has left us after nearly half a century in front of the camera. 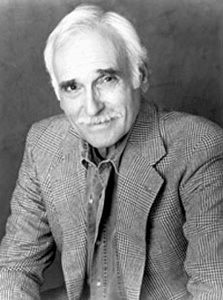 Harold Gould died from prostate cancer on September 11th in Los Angeles. He was 86 years old. Born and raised in New York state, Gould was the valedictorian of his high school class and went to college to become a teacher, before joining the army during World War II. After the war, he returned to college to study drama. He received his masters degree in 1948 and his Ph.D. in 1953. He married his wife, Lea, in 1950 and they recently celebrated 60 years of marriage. After doing some regional theatre work and teaching, he started performing in movies like The Yellow Canary, The Front Page, Love and Death, Silent Movie, Gus, and of course, as a conman in The Sting. He kept performing on stage but, it’s for his television work that he will be best remembered. Gould appeared on dozens and dozens of popular shows throughout the 1970’s, 80’s, 90’s and 2000’s. He often just appeared for an episode or two but he had one of those faces and personalities that you just remembered. Gould often played either heavies or sweet fatherly types. He played Howard Cunningham in a memorable episode of Love, American Style which would become the precurser of Happy Days. He was also Marlo Thomas’ father in the first episode of That Girl. 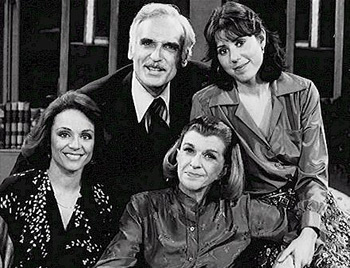 Gould portrayed Rhoda Morgenstern’s father, Martin, first on The Mary Tyler Moore Show and then on the Rhoda spin-off. He memorably played patient Barney Gerber in hospital scenes opposite Billy Crystal’s suicidal Jody Dallas character on Soap. Gould also had a recurring role as Miles Webber, Rose’s boyfriend, on The Golden Girls and The Golden Palace. Other guest appearances included Lois & Clark: The New Adventures of Superman, Dallas, Empty Nest, L.A. Law, St. Elsewhere, Lou Grant, The Rockford Files, Hawaii Five-0, Gunsmoke, The FBI, Hogan’s Heroes, and the Get Smart Again reunion movie. Gould was a regular in the short-lived series called The Feather and Father Gang. His television last role was in the final season of Nip/Tuck. Gould is survived by his wife of 60 years, two sons (Joshua and Lowell) and a daughter, Deborah). What are some of your favorite memories of Harold Gould’s performances? His performance in “Soap”, where he immediately accepted Jodie (Billy Crystal) despite him being gay, and talked him out of suicide with a beautiful monologue about living life to the fullest and being happy with oneself, was a classic, heartwarming scene. I really loved him in that. Of course, his role as Rose’s boyfriend on “Golden Girls” was also wonderful.